We took a look at early prototypes of the ZeroPhone by Arsenij Pichugin back in January when the hardware was in a far less mature state. However, now the project is getting a lot closer to production, we thought we’d go back and take another look. It was Chris Anderson that originally coined the phrase “the peace dividend of the smartphone war” arguing that “…when giants battle, we all win,” and it’s that smartphone war that made building your own phone a possibility, and there have been any number of people that have done so; from Matt Biddulph’s “cell phone from parts,” Avishek Hardin’s lightweight Arduino-powered GSM handset, through to Adafruit’s box-like Ardui-o-Phone, and the ArduPhone, an off-the-shelf Arduino-compatible cell phone from freetronics. This year’s EMF Camp badge is even a fully functional cell phone. The ZeroPhone is somewhat different to a lot of the previous efforts we’ve seen before, though, most of which were built around AVR microcontrollers. 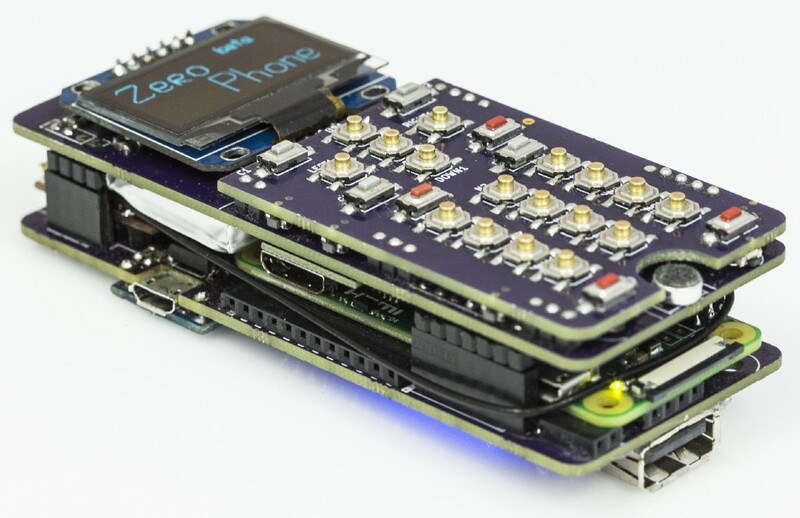 Instead with this Raspberry Pi Zero device, you have the core of, not just an cell phone, but an open source smartphone running Linux. 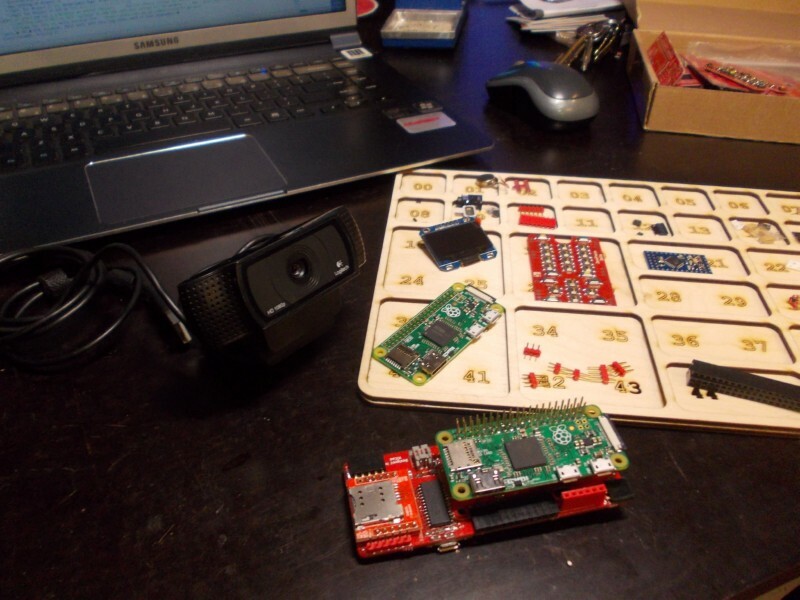 Based around a Raspberry Pi Zero, the ZeroPhone uses an Espressif ESP8266 module to provide WiFi connectivity. The phone is currently 2G, but support for 3G is coming soon and will hopefully arrive before the phone begins to raise on Crowd Supply. The phone has an HDMI jack, along with a full-size USB port, a 3.5mm headphone jack, and out of the box comes with a 1.3-inch 128×63 pixel screen—although the onboard software stack written in Python can support up to 1280×1024 pixel display. The “delta” boards are now finished, and final changes are now being made, so the ZeroPhone should arrive on CrowdSupply in the near future. In the meantime, you can keep track of the project by subscribing to the project’s newsletter or checking out the work log on the Hackaday.io project page. While full details of the project can be found on the ZeroPhone Wiki pages. However if you have ideas around the development of the phone, and you’re interested in contributing, you might even be able to pick up a free kit before the crowdfunding even starts. Or, of course, you could just build your own. It’s all open source. 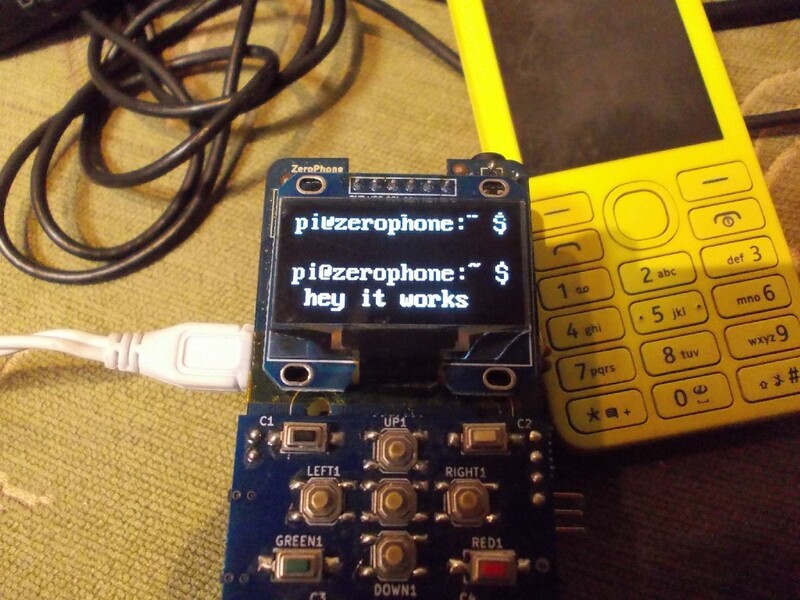 The ZeroPhone, a Linux Smartphone Powered by the Raspberry Pi Zero was originally published in Hackster Blog on Medium, where people are continuing the conversation by highlighting and responding to this story.